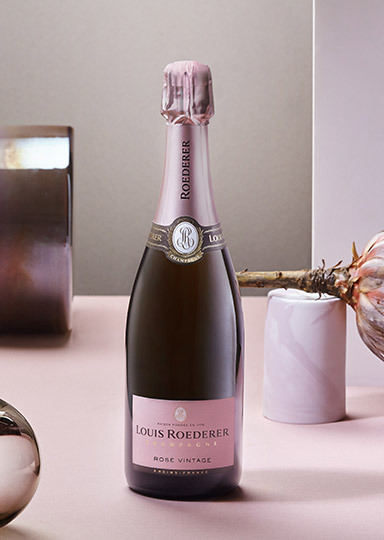 The Champagne Brut Rosé 'Millèsimè' by Louis Roederer is a masterpiece of details: from the grapes of the village of Cumières to the assembly of 62% Pinot black and 38% Chardonnay, 20% of which are vinified in wooden barrels. Finally, the cuvée Rosé Vintage matured 4 years in barrel for six months in bottle. A masterpiece from the delicate bouquet. THE WINE In order for grapes to be used in the creation of a great rosé champagne, they have to attain perfect maturity, which is sometimes difficult to achieve in the changeable Champagne climate. This is why Louis Roederer decided to invest in the vineyards at Cumières, where the shallow calcareous clay soil, which is on south-facing slopes bathed in the light reflected from the banks of the river Marne, enables the grapes to attain optimum phenolic maturity. A blend of around 65% Pinot noir and 35% Chardonnay, 20% of which is wine matured in oak tuns, the Rosé Vintage cuvée is generally matured on lees for 4 years and left for a minimum of 6 months after dégorgement (disgorging) to attain perfect maturity The wine has fruity aromas of wild red berries, followed by floral notes, and the sugary and spicy fragrance of zest; and the aromas of dried fruit and cocoa result from the wine’s vinifying in oak tuns. 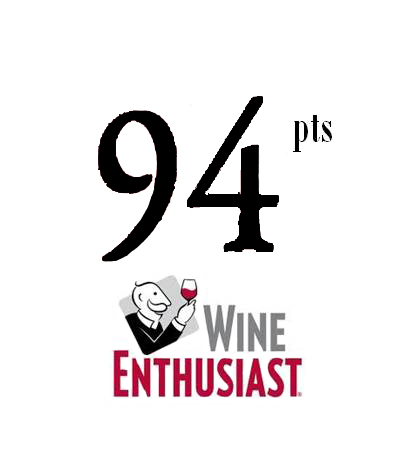 Rich and full-bodied, the Rosé Vintage exalts the maturity of the fruit. A sparkling wine with an initial impression of freshness, it opens smoothly with almost exotic notes, combined with the pure minerality of the Chardonnay grapes. THE WINEYARD The land is the source of our quality champagnes, but it is the painstaking work of our wine growers and oenologists at every step of their creation that makes them great champagnes. Wine growers and creators in a constant quest for perfection, the men and women who create the Louis Roederer champagnes know how to nurture the parcels—which are particularly exposed to the changeable climate—, by adapting the viticulture to the type of soil in each parcel. Our wine growers are perpetuating the age-old tradition of attaining optimal grape maturity while respecting the land and environmental biodiversity. The increasing use of biodynamic cultivation enables them to further enrich the palette of flavours at their disposal. THE HOUSE When he inherited the Champagne House in 1833, the aesthete and entrepreneur Louis Roederer took a visionary approach to enriching his vines, aiming to master every stage of the wine’s creation. He forged the wine’s unique style, character, and taste. In the mid-nineteenth century, Louis Roederer acquired some of Champagne’s grand cru vineyards—an approach that contrasted sharply with contemporary practices.. While other Houses bought their grapes, Louis Roederer nurtured his vineyards, familiarized himself with the specific characteristics of each parcel, and methodically acquired the finest land. Louis Roederer’s guiding principle was that all great wine depends on the quality of the soil, a passion for tradition, and an astute vision of the future; the fame and reputation of the House of Louis Roederer was firmly established. His heir, Louis Roederer II was equally enlightened and adopted his father’s conscientious approach to the production of champagne, patrimonial estate management, and instinctive audacity. THE COMPANY Heir to the Maison de Champagne in 1833, entrepreneur and esthete, Louis Roederer takes the farsighted decision to enrich the vineyard to control all stages of wine processing and creates a style, a spirit and a wholly original taste. In the mid-nineteenth century, with the purchase of vineyards selected with instinct and eclectic spirit on the lands of the Grands Crus de Champagne, Louis Roederer goes against the current use of the time. While others buy grapes, Louis Roederer takes care of the vineyard, deciphers the character of each plot and methodically acquires the best. Convinced that the quintessence of a great wine resides in the land, a lover of tradition and aimed at the future, Louis Roederer traces an exceptional destiny for the House that will then bear his name. His successor, Louis Roederer II, is animated by the same patient vision of champagne, the same patrimonial conception of the vineyard estate, the same resourcefulness. Tasting Color: light pink with delicate blue reflections; perlage fine and persistent. Bouquet: bouquet of white flowers, berries and citrus notes of mandarin. Taste: clean and inviting, fruity. Round with a persistent delicate finish. In order for grapes to be used in the creation of a great rosé champagne, they have to attain perfect maturity, which is sometimes difficult to achieve in the changeable Champagne climate. This is why Louis Roederer decided to invest in the vineyards at Cumières, where the shallow calcareous clay soil, which is on south-facing slopes bathed in the light reflected from the banks of the river Marne, enables the grapes to attain optimum phenolic maturity. 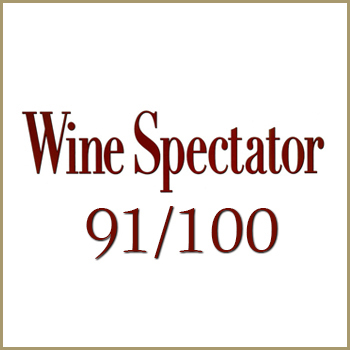 The wine has fruity aromas of wild red berries, followed by floral notes, and the sugary and spicy fragrance of zest; and the aromas of dried fruit and cocoa result from the wine’s vinifying in oak tuns. Rich and full-bodied, the Rosé Vintage exalts the maturity of the fruit. A sparkling wine with an initial impression of freshness, it opens smoothly with almost exotic notes, combined with the pure minerality of the Chardonnay grapes. When he inherited the Champagne House in 1833, the aesthete and entrepreneur Louis Roederer took a visionary approach to enriching his vines, aiming to master every stage of the wine’s creation. He forged the wine’s unique style, character, and taste. In the mid-nineteenth century, Louis Roederer acquired some of Champagne’s grand cru vineyards—an approach that contrasted sharply with contemporary practices.. While other Houses bought their grapes, Louis Roederer nurtured his vineyards, familiarized himself with the specific characteristics of each parcel, and methodically acquired the finest land. Louis Roederer’s guiding principle was that all great wine depends on the quality of the soil, a passion for tradition, and an astute vision of the future; the fame and reputation of the House of Louis Roederer was firmly established. His heir, Louis Roederer II was equally enlightened and adopted his father’s conscientious approach to the production of champagne, patrimonial estate management, and instinctive audacity. Heir to the Maison de Champagne in 1833, entrepreneur and esthete, Louis Roederer takes the farsighted decision to enrich the vineyard to control all stages of wine processing and creates a style, a spirit and a wholly original taste. In the mid-nineteenth century, with the purchase of vineyards selected with instinct and eclectic spirit on the lands of the Grands Crus de Champagne, Louis Roederer goes against the current use of the time. While others buy grapes, Louis Roederer takes care of the vineyard, deciphers the character of each plot and methodically acquires the best. Convinced that the quintessence of a great wine resides in the land, a lover of tradition and aimed at the future, Louis Roederer traces an exceptional destiny for the House that will then bear his name. His successor, Louis Roederer II, is animated by the same patient vision of champagne, the same patrimonial conception of the vineyard estate, the same resourcefulness.